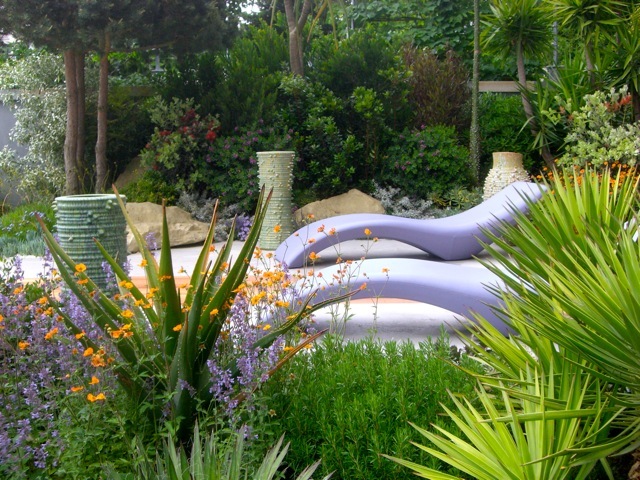 This Mediterranean-inspired garden, complete with a pool built for the event, represents a landscape and design that reflects the Principality of Monaco -- interaction of architecture and garden. never having been to Monaco, I'll have to take their word for it. 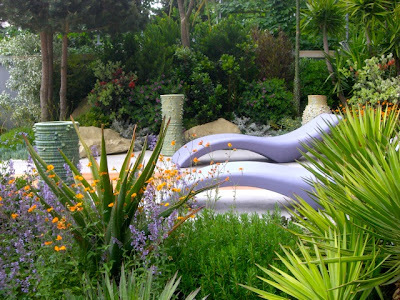 The designer of this garden was Sarah Eberle. working with gardener Peter Dowle.